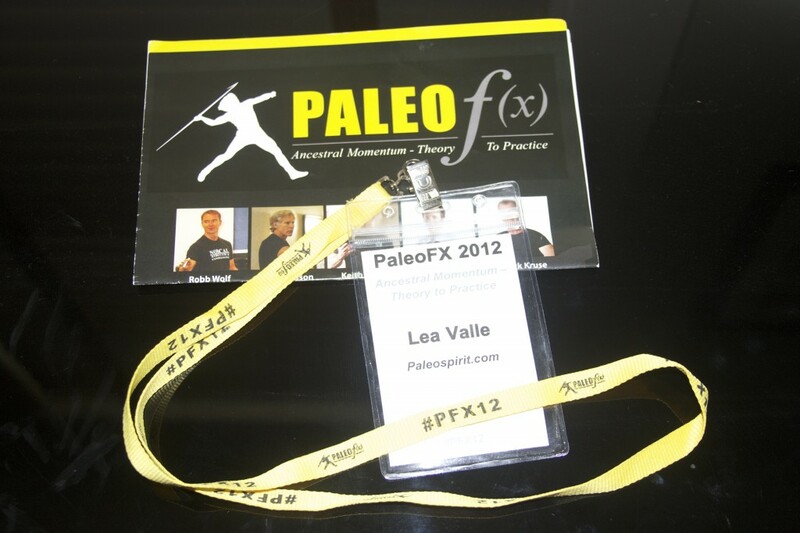 I just returned from an exciting trip to Paleo FX in Austin, TX, March 14-17. Rather than writing one huge tome about my experience, it makes more sense to break it up into pieces. So I will start by simply explaining the nature of the event with some photos of some of the cool people in attendance on opening night. In future posts I can get into more details about the presentations and fitness sessions. If you want to know more about it right away, there are several great write-ups already posted in the paleo blogosphere. (Check out this post and video). 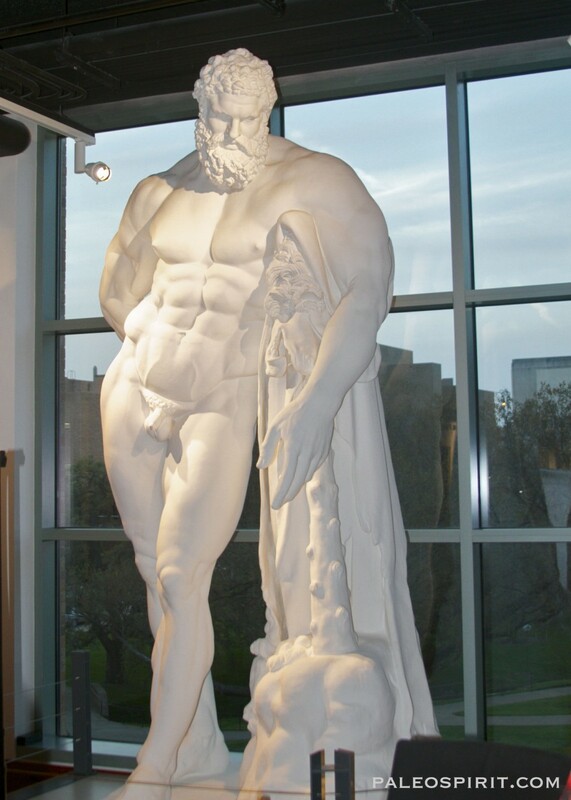 The PaleoFX Ancestral Momentum – Theory to Practice Symposium was a multi-day, hands-on event. It was a collaboration among fitness and healthcare professionals, nutritionists, research scientists and laypersons seeking to address modern health challenges through the application of ancestral based theory in practice. 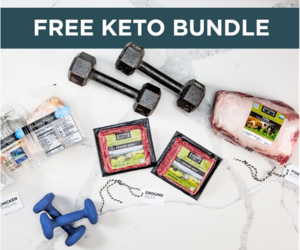 In other words, lots of folks with different backgrounds got together to explore how to put paleo diet and fitness information into action in a practical way. 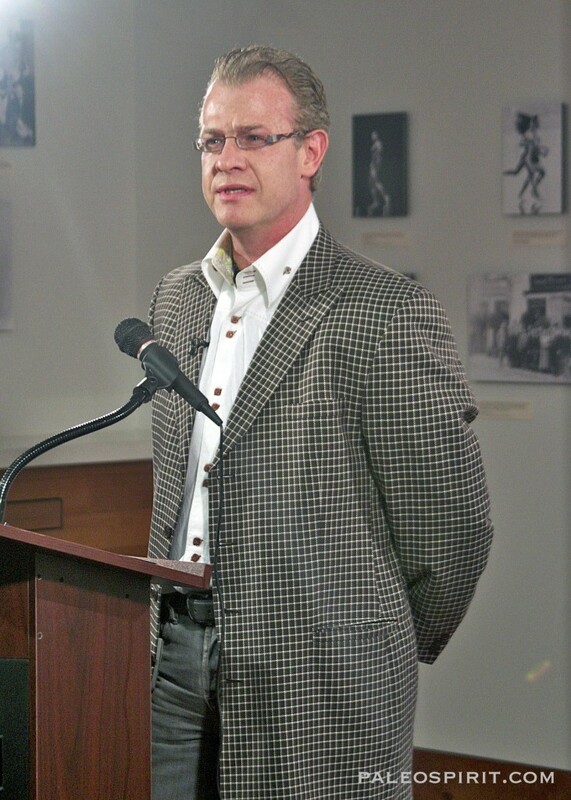 It was held at The Stark Center for Physical Culture and Sports on the campus of the University of Texas – Austin. As a graduate of staunch rival Texas A&M University, this was a slight conflict of interest for me! The Stark Center overlooks the football field and I felt like I was in “the belly of the beast” so to speak. 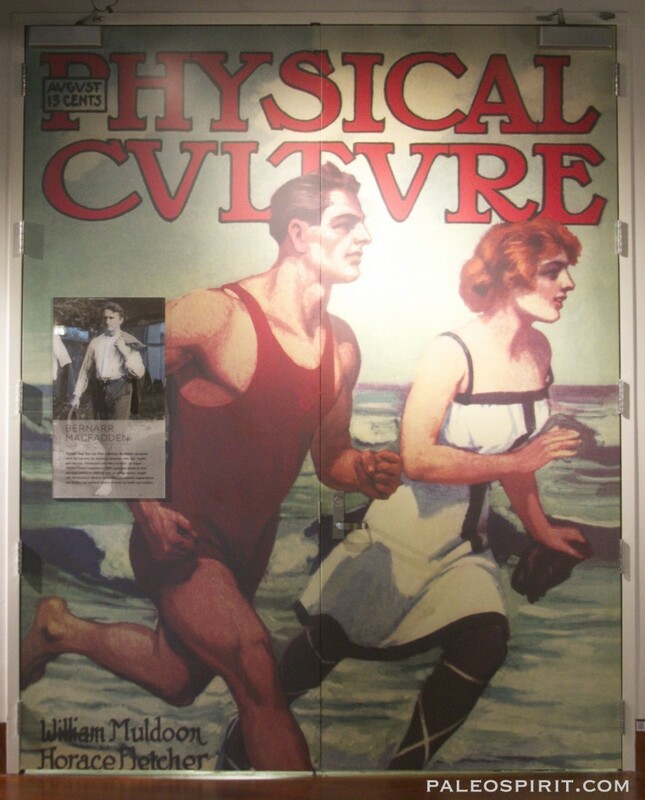 One of the focal points in the main section of the gallery was this large print of an old magazine cover. I love this. There were also a few statues. 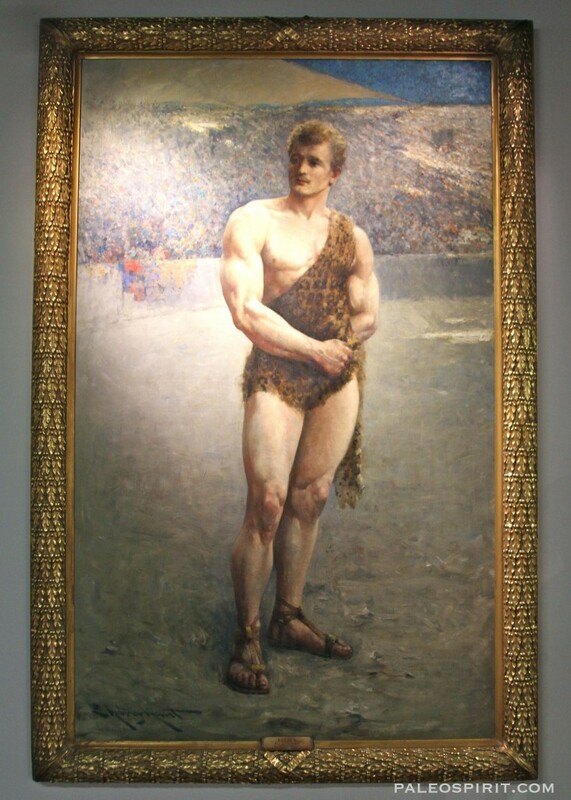 It was a perfect place to host an event that itself focuses on physical culture. The opening speech was given by neurosurgeon Dr. Jack Kruse. He’s quite the dresser! 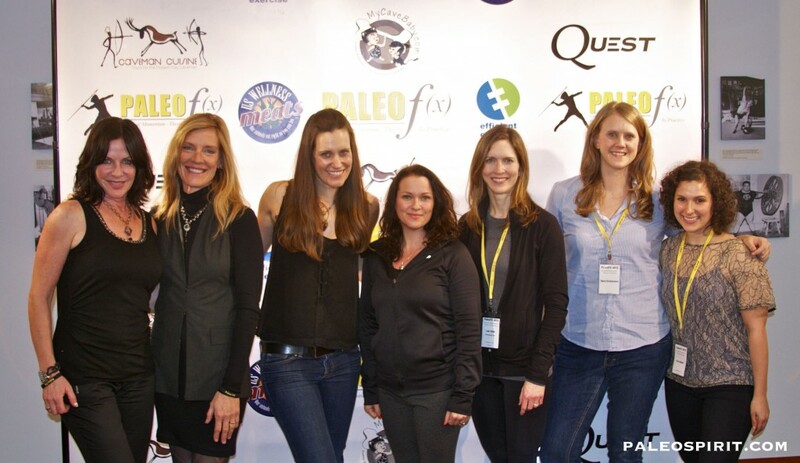 Afterwards, several of us paleo women got together for a photo. (Left to Right: Susie, Lisa, Ashley, Anitra, Lea (that’s me! ), Sara and Lina. I think we look pretty great considering every one of us came straight to the event after a long day of travel. 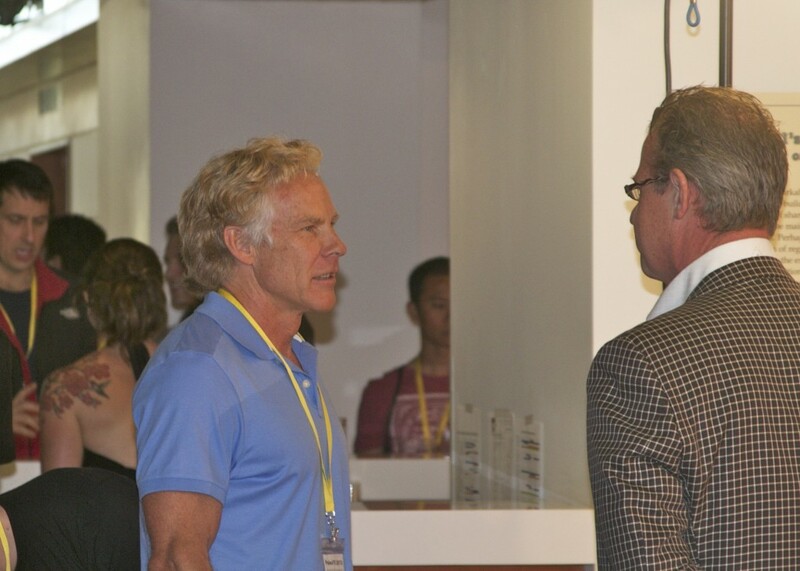 Later in the evening, we got the chance to meet a few paleo rockstars like Mark Sisson of www.MarksDailyApple.com fame and author of “The Primal Blueprint”. 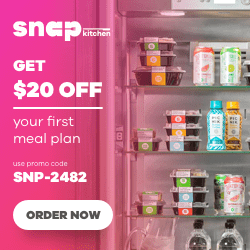 Mark’s website was one of the first places I landed on the internet when researching this way of eating. I cannot recommend his blog, MDA, and his books, strongly enough. I own a couple of his recipe books and they are really terrific: “The Primal Blueprint Cookbook” and “Primal Blueprint Quick and Easy Meals”. Here he is chatting up Dr. Kruse. 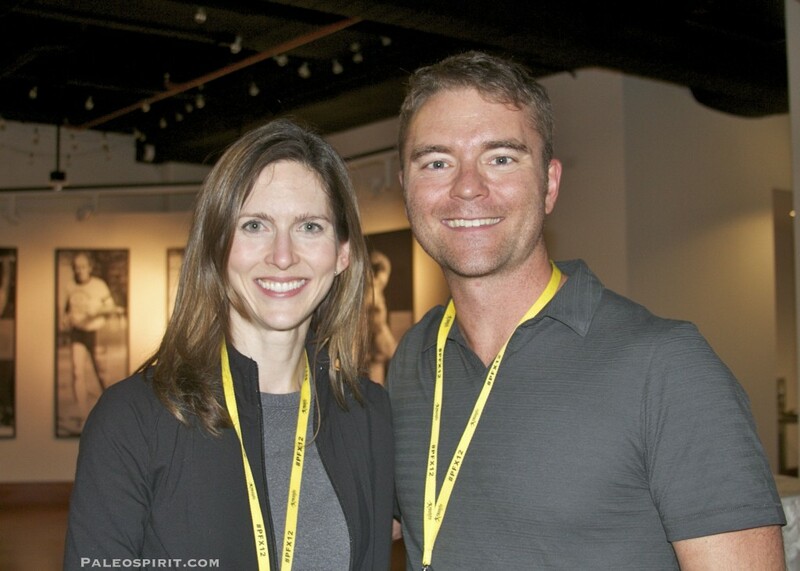 Speaking of Paleo rockstars, here’s my photo with Robb Wolf of www.robbwolf.com and author of “The Paleo Solution”. Robb hosts a very popular podcast on paleo nutrition and fitness that I absolutely love. I listened to episodes 1 through 80 last year in a very short period of time because I found them so fascinating and informative. He’s a great resource and an all around cool guy. After dinner, several of us braved the crowds of SXSW in downtown Austin where we indulged in some much needed Tex-Mex food. We asked the waitress for cucumber chips to go with the massive bowls of guacamole we ordered. But I have to admit to indulging in some corn chips too. We were in Austin, TX after all! And eating paleo, at least for me, is about being reasonable when it comes to food – especially if you do not have an auto-immune disease. We were joined at dinner by my roommate for the event, Kelsey Marksteiner. Kelsey is currently working on becoming a Registered Dietician. (Check out Kelsey’s brand new blog, “Healthy Gut, Healthy Life” . In a future post I will show off some photos of beautiful Texas wildflowers taken when Kelsey and I ventured to Lady Bird Johnson’s Wildflower Center in Austin for a Dose of Beauty. Stay tuned for that as well as details on the presentations and fitness sessions! 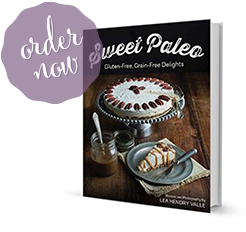 Book Review and Giveaway: "Eat Like A Dinosaur"
9 Responses to "Paleo FX 2012: Opening Night"
It was an absolute pleasure meeting you. I wish I could have gone to the wildflower center with you. NEXT YEAR!!!!!! Thanks, Lisa. It was great meeting you as well. I definitely hope there’s a PFX13 and if it happens during wildflower season we’ll go! I’m so excited (and envious!) about this adventure you took. I look forward to reading all your posts. 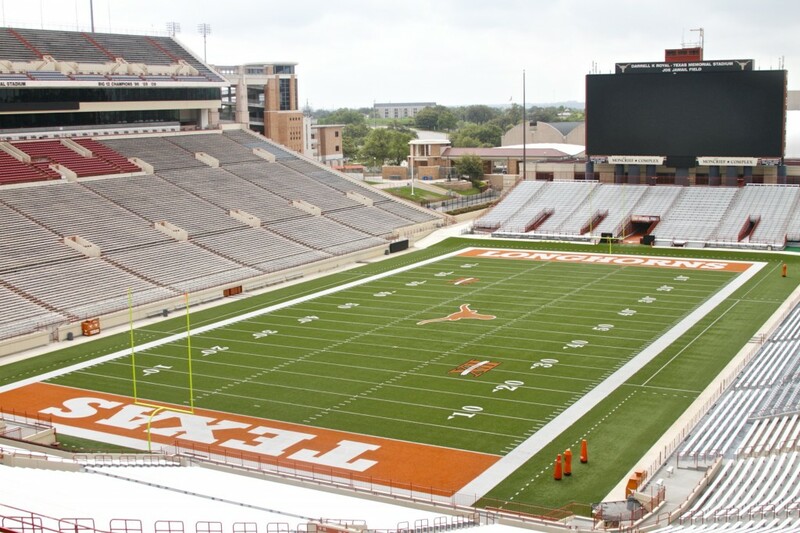 BTW, I graduated from a UT school (UTHSCSA) after I did two years @ Baylor. My twin graduated from Rice and my brother from UT Austin. What makes this strange is we grew up in Massachusetts. A part of what I wrote did not come up with my comment. I wrote about the first time I attended an A&M football game. I was SO impressed with the marching band (I think they have a special name). Gig’em Aggies! That would be “The Fightin’ Texas Aggie Band”. They are THE BEST. That’s amazing that ya’ll grew up in Massachusetts and chose Texas schools. Did your family move to Texas at some point? It was definitely fun to go back. And I’ll post some photos of some of the wildflowers because they were really blooming when I was there. So nice. They’re all scammers and opportunists , Lisa. ALL of these Paleolithic guys. They prey on the scientifically illiterate. Science is far from knowing the optimal diet. Science does not know NEARLY enough about nutrition for these guys to make their claims. Genuine science always admits to much uncertainty and vast unknowns. Dietary decisions are a CRAPSHOOT. Anybody claiming otherwise is either ignorant or a lying salesmen. All genuine scientists operate within the boundaries of uncertainty, especially with the complex biology of humans. Look into Urgelt of YouTube and watch his Internet scammer video.